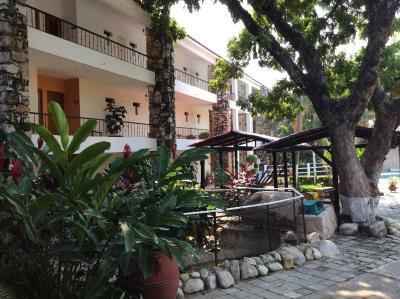 Lock in a great price for Plaza Palenque Hotel & Convention Center – rated 8 by recent guests! 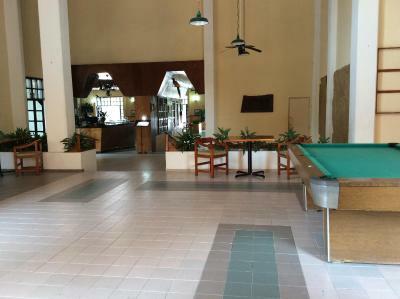 Nice hotel with an American layout and size, staff speaks English. There was ample hot water and the a/c works very well. En realidad, el centro de Palenque no es tan encantador como otros pueblos mágicos. Uno va a Palenque para hacer los tours de las zonas arqueológicas y naturales cercanas. La alberca del hotel es muy buena. Bien a secas. El aire acondicionado fue fundamental. 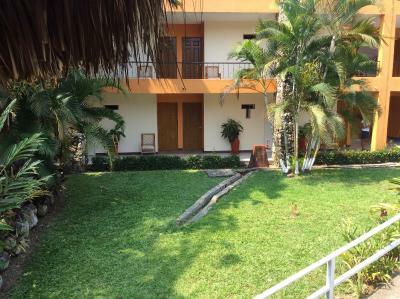 Die Nähe zur Ausgrabungsstätte Palenque und der Pool des Hotels. Es wird von manchen Mitarbeitern Englisch gesprochen. Wenn man Glück hat, sind sie auch da. 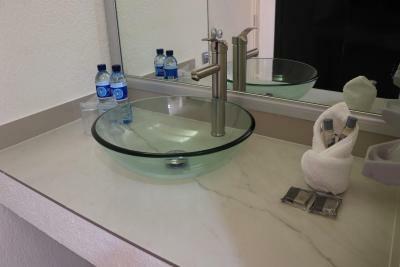 Plaza Palenque Hotel & Convention Center This rating is a reflection of how the property compares to the industry standard when it comes to price, facilities and services available. It's based on a self-evaluation by the property. Use this rating to help choose your stay! One of our best sellers in Palenque! 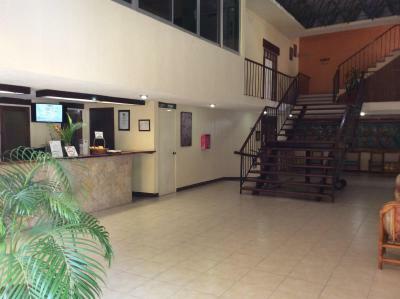 Just 0.6 mi from Palenque center, Hotel Plaza Palenque Inn is a 10-minute drive from the ancient Palenque Archaeological Site. The luxury hotel has tropical gardens, a feature swimming pool and a restaurant. 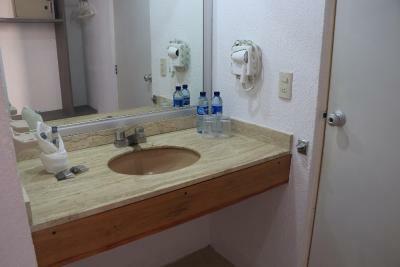 The colorful, 4-star rooms at Hotel Plaza Palenque Inn feature private modern bathrooms and air conditioning. 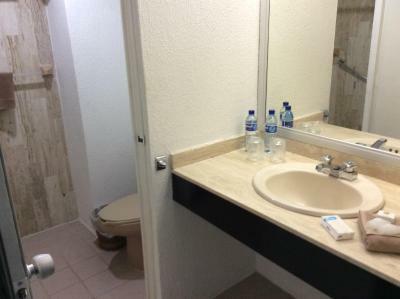 All rooms have large windows, and some have a luxurious spa bath. 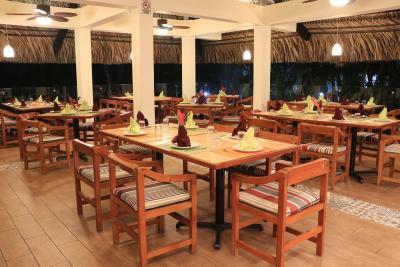 Las Guacamayas Restaurant serves traditional Mexican dishes and international cuisine. The lively Las Congas bar offers fresh cocktails and free Wi-Fi access, and room service is also available. 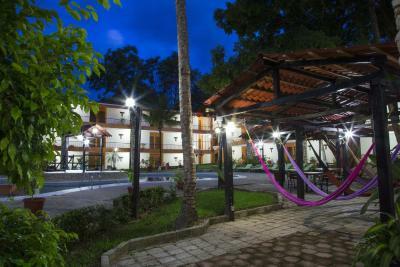 Just 12 mi from the beautiful Falls of Misol-Ha, Hotel Plaza Palenque Inn is surrounded by stunning scenery. 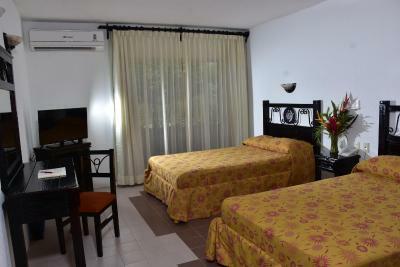 There is free on-site parking, and Villahermosa can be reached in a 90-minute drive. Palenque International Airport is 10 minutes' drive away, while the ADO Bus Terminal is 5 minutes' drive away. 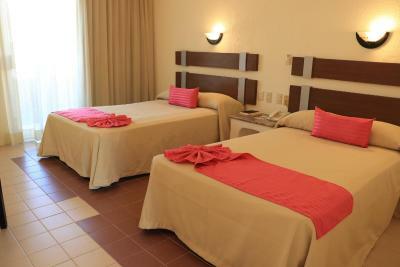 When would you like to stay at Plaza Palenque Hotel & Convention Center? 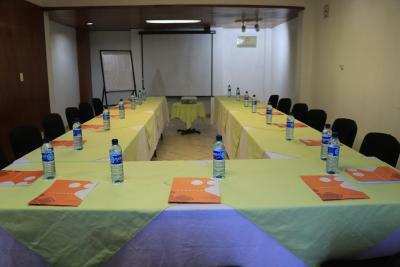 This air-conditioned room features a cable TV, a safety-deposit box and a small seating area. There is also a balcony. 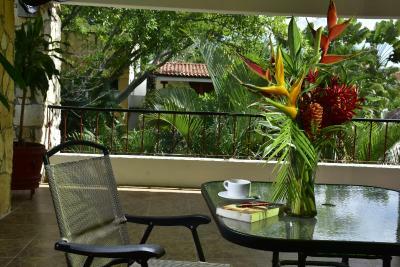 House Rules Plaza Palenque Hotel & Convention Center takes special requests – add in the next step! Plaza Palenque Hotel &amp; Convention Center accepts these cards and reserves the right to temporarily hold an amount prior to arrival. Plaza Palenque Hotel & Convention Center accepts these cards and reserves the right to temporarily hold an amount prior to arrival. Upon check-in, a photo identification and credit card is required. All special requests are subject to availability upon check-in. Special requests cannot be guaranteed and may incur additional charges. Clean, very nice pool areas. The hotel was pretty much hidden - the sign was next to a different building. The wifi so slow I could say it was not working at all. The pool was warm. The bed was hard. The air conditioning was noisy. At least there was somebody who speaked english. The beds are just TOO firm. The receptionists are inefficient and indifferent at best. The restaurant a la carte food is dire. I didn't try the breakfast buffet though, so can't comment. The pool is murky and too heavily chlorinated. But worst of all is the NOISE: you can here conversations next door, dragging of furniture upstairs, toilet flushing, and worse. Despite the 10.00pm swimming pool curfew, the music, swimming, laughter, running and loud chatter continue well after that. And then they're all up by 7.00am for their tours. Not a place to relax and recover from your tours, unless you can survive on 6 hours sleep.